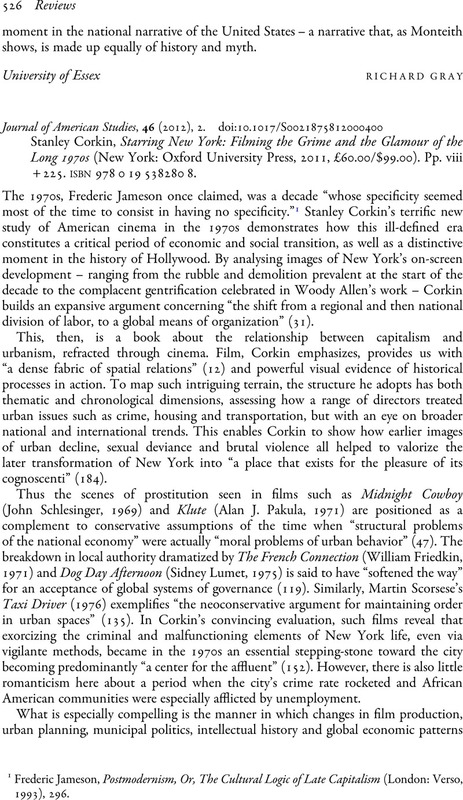 Stanley Corkin, Starring New York: Filming the Grime and the Glamour of the Long 1970s (New York: Oxford University Press, 2011, £60.00/$99.00). Pp. viii+225. isbn978 0 19 538280 8. 1 Jameson, Frederic, Postmodernism, Or, The Cultural Logic of Late Capitalism (London: Verso, 1993), 296.